16/11/14. Alqosh, Iraq. 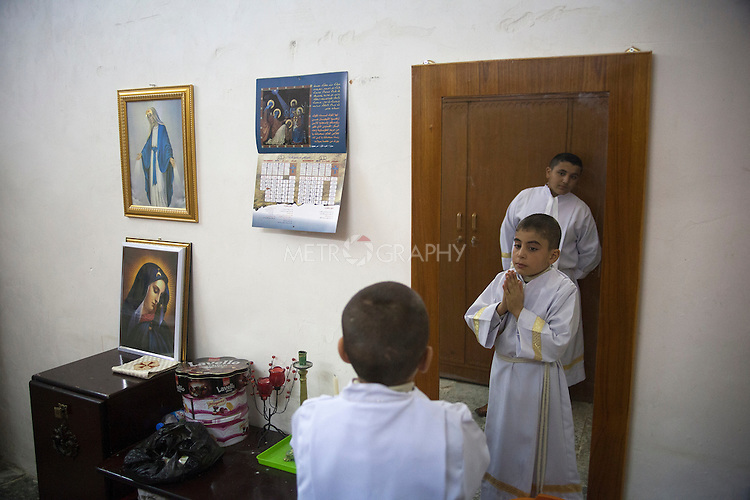 Watched by a friend, Milad (left) prays inside the Der Saida Church. Every Sunday Milad helps Father Jobrail, a priest in the church at the Monastery, with his service.